With back to school time in full swing, you all know that the routine of the school year can be difficult. 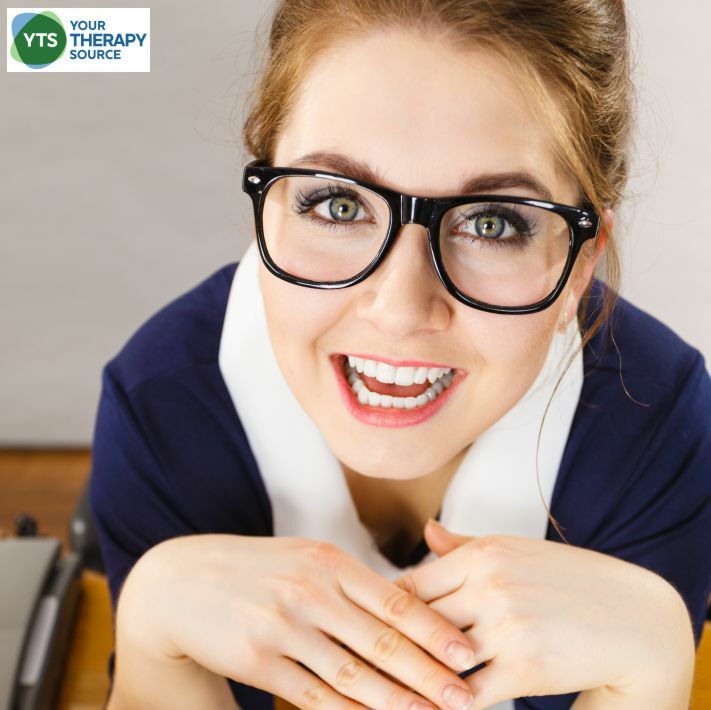 As school-based therapists, teachers and parents by the end of each day, you can feel exhausted, worn out and defeated. Self-care is so important for everyone but if you work with children the stresses of each day can build if you do not take the time to take care of yourself. Here are tips and strategies to stay healthy and energized at work. Obviously, these will not work to prevent the stomach bug, head lice, ringworm, strep throat, or any other infectious disease that children like to pass along to adults. But hopefully, the strategies will help to prevent mental exhaustion and fatigue. If you are short on time, you can download this post as an audio file (MP3) and listen to it. Sign up at the bottom of the post. Suffering from mental exhaustion is not a fun experience. It can sneak up on you (and rather quickly during scheduling time at the start of the school year, IEP time mid-school year, etc). You may think you’re doing wonderfully well and then one day you realize you’re not. Therefore, let’s go through some steps to overcome mental exhaustion but also learn how to prevent it in the first place. After all, prevention is the best medicine of all. If you don’t know how much you’re really doing, it can be easy to just keep going 24/7 and never take a break. Take some time to track what you’re doing daily for about a week. You can use your smartphone to track your activities or you can go old school and carry around a small notebook to record your activities in. When you look at the activities you did while tracking, note the things that aren’t really producing results, or that are busy work, or that are completely unnecessary. For example, do you go to a lot of meetings? Do you have to? Do you spend a lot of time trying to help co-workers, friends, or someone else without results? Let go of anything that you can either just stop doing or outsource. Or if you must keep doing it, find a way to put limits on it. 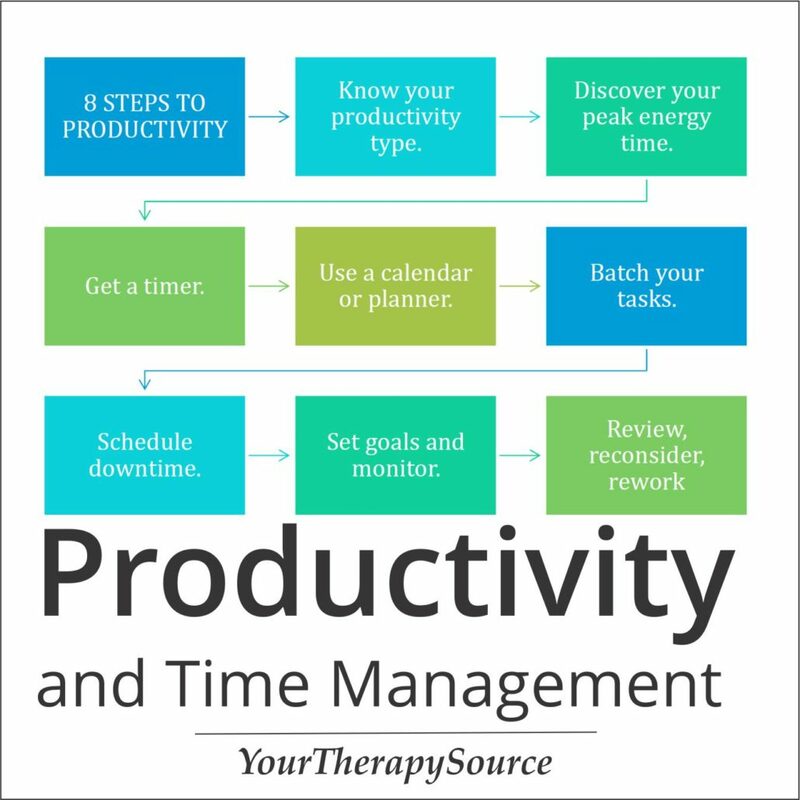 Read on how to be more productive here. One reason people get overscheduled doing too much and become mentally exhausted is that they think they’re magic. They think they can do 48 hours of work in 24 hours. But, if you started putting everything on your calendar properly, you would see that you just can’t. First, schedule the must-dos. Then add in family time, date night, friend time, and “me” time to your day. Don’t add anything to your schedule that will reduce these important things. Check out the Therapy Planner for calendars to get started right away. Don’t forget how important sleep is. We spend so much time working on getting our children to sleep that we forget about ourselves. Most adults should seek to get between six and nine hours a night. It largely depends on your genetics how much sleep feels right for you. Work with what you know you need. If you’re having trouble sleeping at night, address that issue so that you fall asleep fast and your sleeping time is productive. To help get used to this process, go to bed and wake up at the same time every day for at least 30 days. You can start with the least time and work your way up to find out which amount of time works best for you to make you feel rested each day. Schedule in exercise time each day. It doesn’t have to be strenuous exercise. It can be as simple as a brisk walk. You also don’t need to schedule in an entire hour. Look at your schedule so that you can determine if you have 10 minutes to walk six times a day, or three 20-minute walks a day. You can also separate that out into different types of exercise. The important thing is to get up out of a chair and move as much as you can. Enough cannot be stated about eating the right type of food for your body. What you eat often depends on what you need. Ask your doctor to test your blood levels for vitamins and then eat the things you need to avoid deficiencies. Try eating smaller meals throughout the day which will give you a break, boost your energy, and help you stay more focused. Read more below on eating right. It can be very easy to get dehydrated. Most adults should drink between eight and ten 8-ounce glasses of water each day to stay hydrated. If you exercise strenuously you’ll need more. Tea, coffee, soda, and sugary drinks (even fake sugar) are all dehydrating and don’t do the same thing as clean, filtered water will. Take the challenge and commit to drinking enough water for 30 days, and you’ll see a huge difference. When you are doing mental tasks, it’s hard to want to take a break sometimes because there are times when the time is just flying by as you work, and you just don’t notice. But, it’s imperative that you take regular breaks. Just like we encourage our students to take brain breaks we need to do the same. 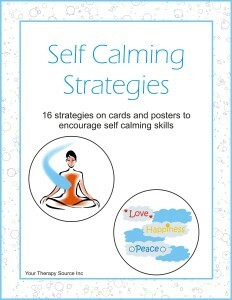 Try self-calming strategies during your break time. If you spend long periods of time in front of a computer writing up reports or planning lessons, remember to take a break from the monitor a minimum of every 20 minutes by looking away to lessen the strain. A lot of smart, busy people tend to be uncomfortable with downtime. They feel as if they’re slackers. But, even if you have a mentally exhausting job as compared to a physically exhausting one (or mentally and physically exhausting job ie anyone who works with children), everyone needs downtime. Make sure that downtime doesn’t equate with screen time. When you do get a break and if you are feeling exhausted, make sure you spend that time resting, doing nothing, eating right, drinking water, and just getting yourself back. Then start fresh when you go back to work or school. There are many activities that you can do to help raise your energy level, whether you need more mental energy or physical energy. Your mental and physical energy are so intertwined that when you do something to help one you’re automatically helping the other. Here are some effective activities to try. Meditation is an important way to help reduce mental stress so that you can focus better. Not only that; you’ll also learn to be more mindful of everything you do, which will help you avoid exhaustion in the first place, most of the time. Practice deep breathing techniques. Moving is something that is so important that even if you have a physical job, you should still find a way to get in more moving in an intentional way. Even if it’s just a few brisk ten-minute walks, it’s a way to clear your mind and get your blood flowing. Anytime you feel a slump coming on, take a fast walk if possible before or after the school day ends. Another way to stay energetic, both mentally and physically, is to be a positive person. Not everyone is positive naturally, but you can start to trick your mind into being that way by keeping a gratitude journal. Each night before bed, write down three things you’re grateful for. That will make it the last thing you think of each night. You can make this even more effective if you use a journal that is also a coloring book. 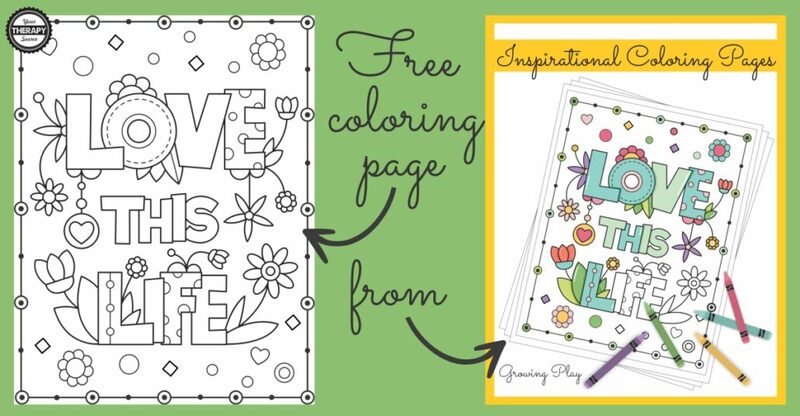 Coloring will soothe your mind and relax you. Try coloring these inspirational phrases to not only instill gratitude but relax at the same time. Everyone has positive, uplifting music that they really enjoy and that makes them feel upbeat. However, some of it can also make you unproductive, so it’s important to try out different types of music for different activities. If you think a song you sing to might not be the right one for work, it may very well be just the ticket for your ride home in the car. Games, puzzles, and hobbies are great ways to have some downtime but are also good for your mind and body. Do at least one type of puzzle each day to help keep your brain thinking and to get your mind off other things that are pressuring you and sucking your energy. Teachers, pediatric therapists, and parents may play lots of games during the day but sometimes it’s fun to play a game with another adult too, such as trivia or card games. One of the best exercises for both mind and body is yoga. 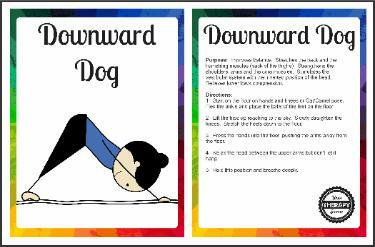 There are all types of yoga that you can learn to do at home or at a studio. Sometimes, it’s impossible to take time out to do anything mentioned. If that’s the case, a fast way to improve your energy is to drink water so that you’re hydrated and eat a small serving of crunch snack to help raise your energy level. Productivity doesn’t mean that you need to take more time doing something. It means that you need to focus closely on what’s at hand, and not what’s to come. By taking breaks with these activities, you can help yourself become far more productive and reduce mental and physical exhaustion exponentially. One of the best ways to treat any type of exhaustion, besides hydration, is by eating the right type of food so that you can keep your energy balanced all day long. One thing to understand about food is that it’s all just different nutrients. When you think of food as nutrients, you realize very fast that some things we put into our mouths aren’t really food. It’s more like a toy, a distraction, or a leisure activity – an unhealthy one at that. For example, coffee and donuts are not nutrients. Therefore, they are a horrible choice for anyone who is suffering from or trying to prevent mental and physical exhaustion. So, understanding that, let’s look at some revitalizing foods that you can easily incorporate into your life to help you boost your energy all day. Remember that if you are on a special diet, you can just substitute the ideas so that they fit your way of eating. The important factor is to consider nutrients that give energy. If you normally eat white rice, switch out all your rice to brown rice, or even different colors of wild rice. Rice that has a color and is not processed will be richer in manganese, which is a mineral that helps your body process energy from both carbs and fats better. This is an excellent lunch idea because sweet potatoes are packed with vitamins and minerals. Loaded with vitamin A and C, if you eat a sweet potato for lunch you’ll be much less likely to suffer from the midday slump. They are super-easy to cook in the microwave or bake ahead. You can eat them hot or cold too. A banana is almost the perfect food. It has plenty of sugar and fiber to slow the digestion of the sugar. You can eat them alone, or you can spread with seed butter like hemp or sunflower seeds to add a protein kick to make it last even longer. This is another naturally fast food. If you buy organic apples you can just wash them off and start eating them as they are. Due to the high fiber in apples, the sugar processes slowly – making them a perfect snack to help you study harder or get over the midday slump at work. If you normally start feeling sleepy around 3 pm, try grabbing a small apple around 2:30 and you may find that you don’t get tired at all. You know that an orange is high in vitamin C, and of course, the hit of sugar will help perk you up too. But the smell of the citrus as you take out the time to peel the fruit will also wake you up and give you both a mental and physical boost of energy that can’t be beaten. Always eat your oranges rather than juice them for best results. Everyone knows that spinach is a superfood, but due to its high iron content that is easily digestible by the human body, adding just one cup of spinach to other dishes or smoothies that you eat throughout the day can make a huge difference in your energy levels. Try adding citrus and a small amount of fruit-based fat like coconut oil or olive oil to your spinach can help your body process the vitamins. For some people who need more iron and B vitamins but don’t want to eat anything that is sugary even if it’s a fruit, a boiled egg is the answer. The worries about too much cholesterol isn’t a problem for most people and falling asleep or getting overwhelmed due to studying or work can be avoided by adding a boiled egg to your snack options. While water isn’t a food, it needs to be mentioned. If you’re not drinking eight to ten 8-ounce glasses of water each day, look to that as your first reason for exhaustion. Most people are walking around dehydrated and don’t even know it. Remember that water is life and the first choice for beverages should always be water. Adding these foods to your day can make all the difference in the world to your energy levels. When you feel better, you will automatically feel more energetic. In addition to adding these foods to your daily diet, eliminate all processed food. Some people also see good results from eliminating dairy from their diets as it can be a cause of congestion, skin issues, and stomach issues for many adults. Keep up your physical and mental energy levels. You can learn how to make small tweaks to your work habits to improve your energy level, mood, and your productivity. You need to focus on learning to do certain tasks during the hours when you are most productive, focusing your attention in short bursts of time and scheduling vital downtime on your calendar so you have an opportunity to enhance creativity, boost energy, and get a greatly improved return on investment for your time. Ready to get started? 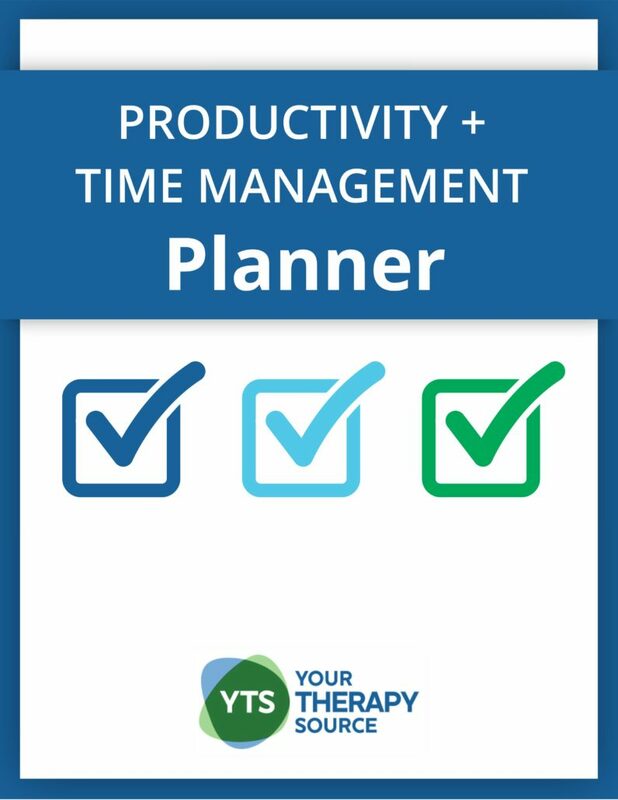 Take the time to learn the ins and outs of becoming more productive with the Productivity and Time Management Planner so you can take your professional and personal life further than you’ve previously dared to dream possible.